The cushion craze continues, but this time we have a completely new brand I want to introduce today: The Klairs Mochi BB Cushion! 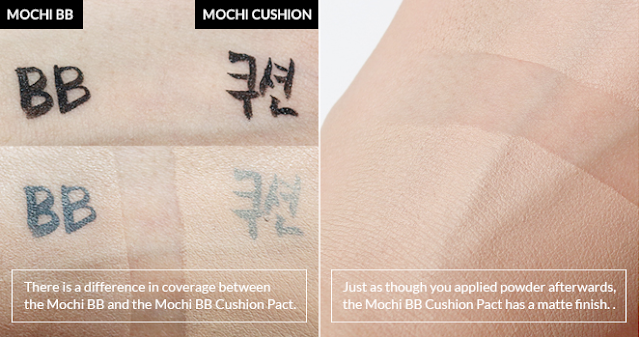 This relatively newly launched cushion BB Cream are so adorable. 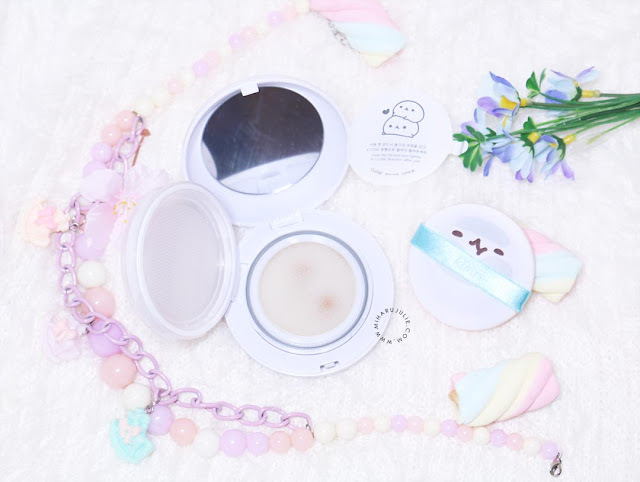 And as the name suggests, this cushion BB Cushion contains, super soft, velvety skin which referred to as “Mochi”, like mochi ice cream, which is perfect for all skin type. Klairs is a brand focuses on providing simple minimalist Korean cosmetics that are green, Eco-Friendly, basic, and providing natural makeup that does not partake in any animal testing. Offering Korean cosmetics that contain no alcohol, parabens, harsh chemical or artificial colors and fragrance. Klairs not only has a strong sense of brand image, but it also has been ranked #1 multiple times on featured articles and websites. The KLAIRS all-time best-seller Mochi BB has been improved with a light finish, long-lasting coverage that fights sweat and oils all day. 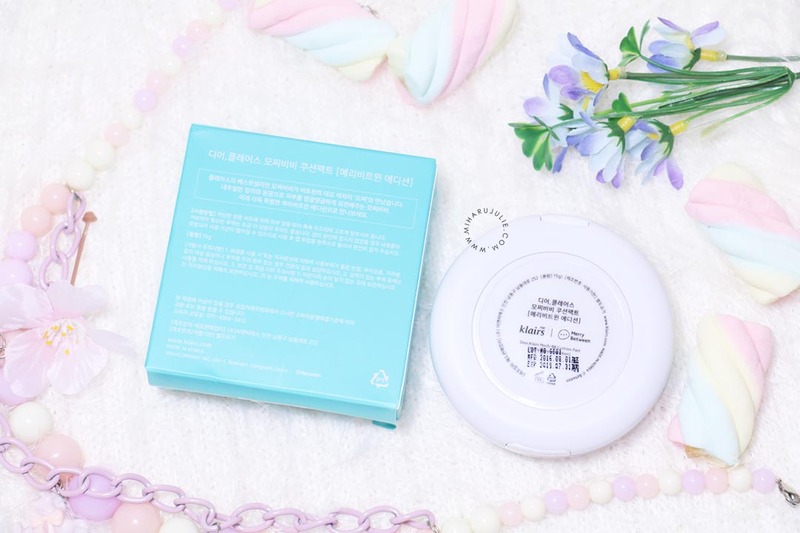 The Mochi BB Cushion is designed as a balm-type product rather than a liquid To fill in the pores for a silky smooth finish. I never bought character or cartoon design since I prefer elegant and classy packaging. But when I received it, the packaging is really suprise me because they are different than I thought! 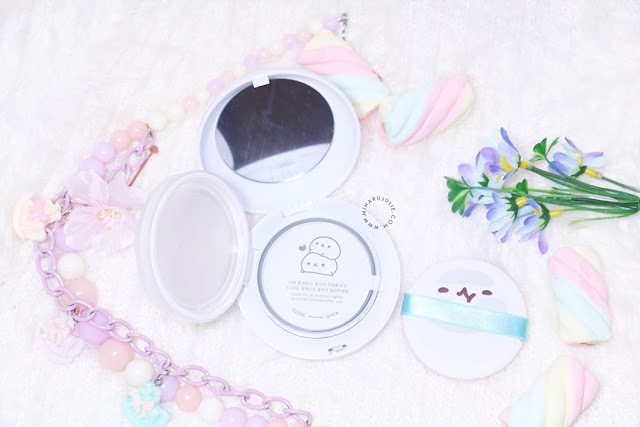 The Klairs Mochi BB Cushion comes with a unique twist case which reveals the cushion itself. This function helps to lock in the product to prevent evaporation. 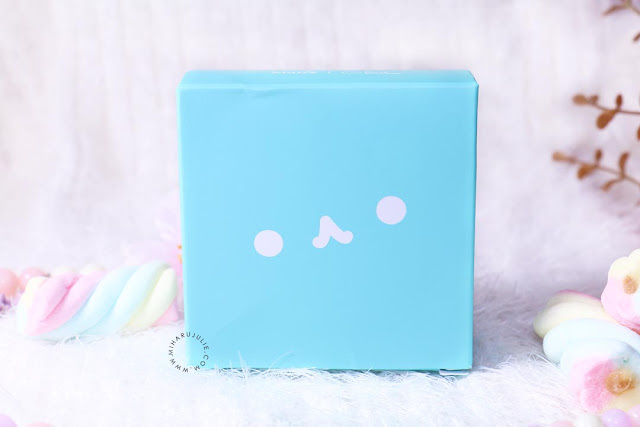 Even the plastic separator and applicator sponge has a cute face printed on it! 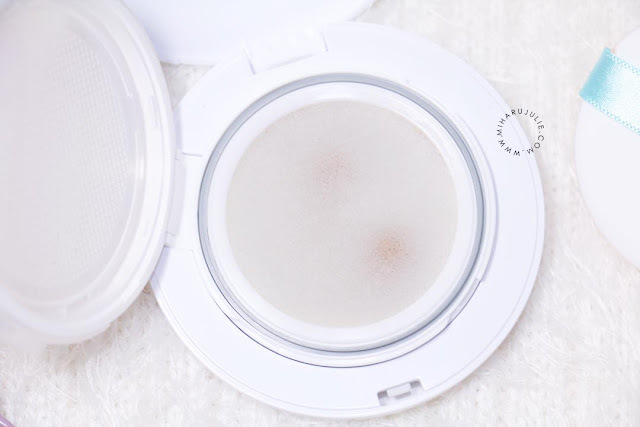 The Mochi BB Cushion has an apricot-beige tone, That complements both yellow and red skin in a natural way. It neutralizes the redness of the skin for a comfortable and healthy look. While color-correcting and brightening dull, discolored skin tone. The BB Cushion will adapt to your skin tone, but it still means not everyone can use it. I recommend this cushion will only be suitable for those with a light skin tone. 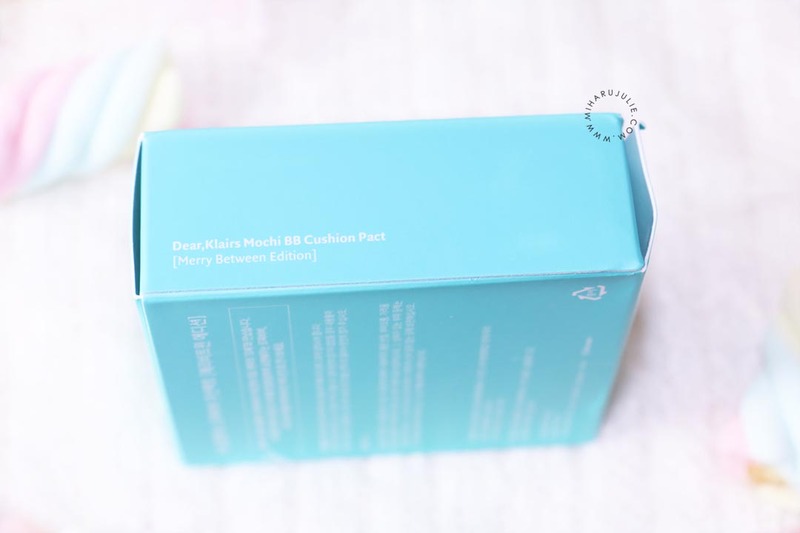 It has a very silky cream like texture that applies very smoothly over the skin! 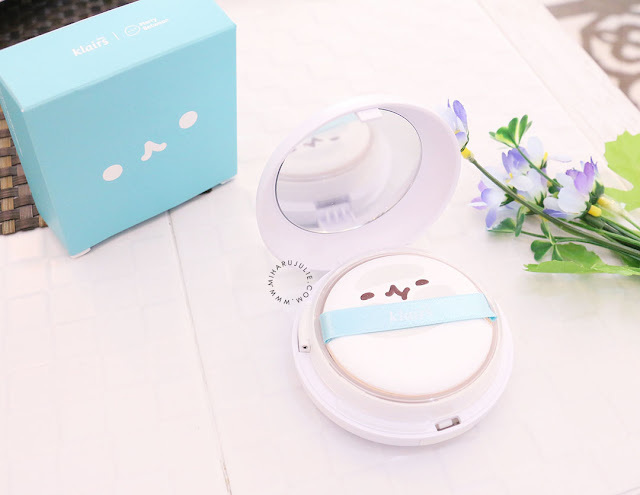 Klairs Mochi BB Cushion give a matte finish and medium coverage. If you are someone with average skin, looking to cover small dis-colorations or minimal breakouts or minimal acne scars. 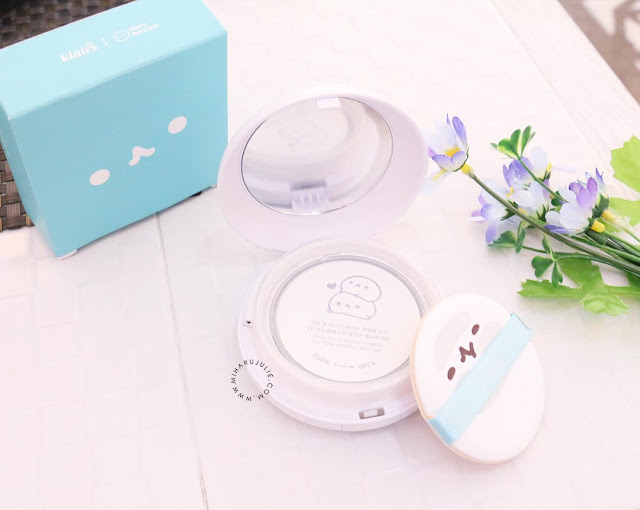 Then this bb cushion is a nice choice for a natural and lovely looking complexion. 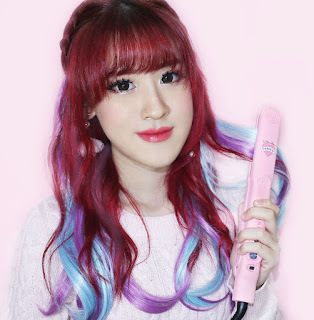 Overall, This is the first time I’m trying a product from the Korean brand KLAIRS! I was really excited to try it out, since So many good things to say about this product, especially the cute packaging. This cushion was offered to me by Korean cosmetics online shop Wishtrend for reviewing purpose. 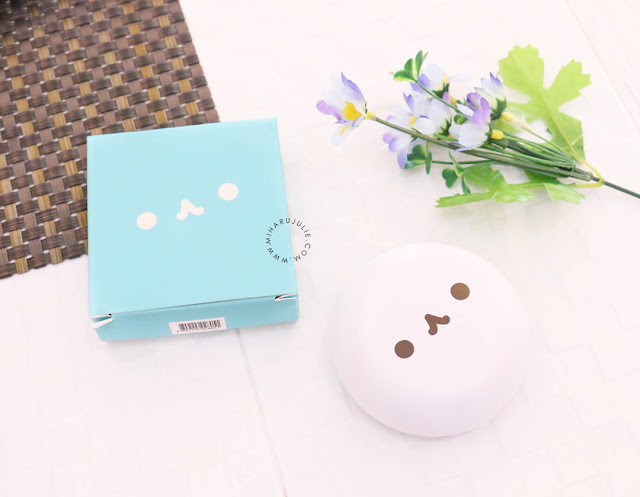 This product is so cute dear, love the packaging! Great product. You look lovely Julie. imut banget si packagingan nya spon nya juga..